Why are these codes called "secret"? Simply, they are not needed by most ordinary users, they are not published in instructions to smartphones. First of all, "secret codes" are intended for engineers and developers for conducting various tests. 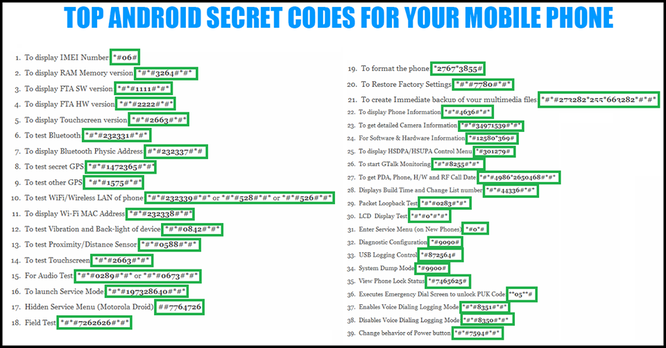 Devices manufactured by Motorola have a special built-in menu, which you can enter by entering * # * # 4636 # * # *.